Navratri is here and definitely, it’s the time to celebrate. Yes, this auspicious festival of 9 days is one of India’s most loved festivals. 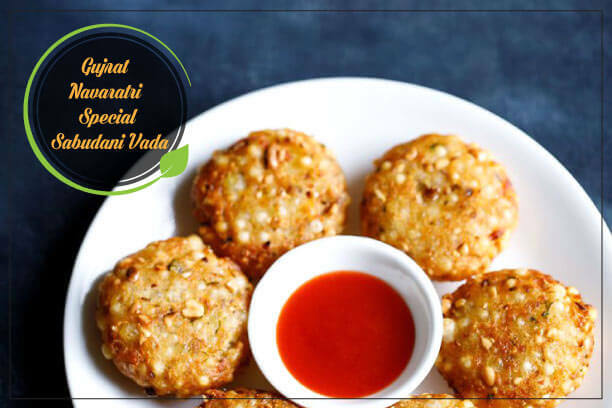 During these 9 days, the 9 avatars of Devi Parvati are worshipped, each day with prayers and amazing food delicacies ranging from sweet dishes to spicy treats. But this festival also marks fasting by the followers. So in order to have an amazing Navratri with delicious foods and great health, we bring to you the 7 special Navratri dishes and 5 noteworthy fasting tips. Read on and get ready for a Navratri celebration like never before. 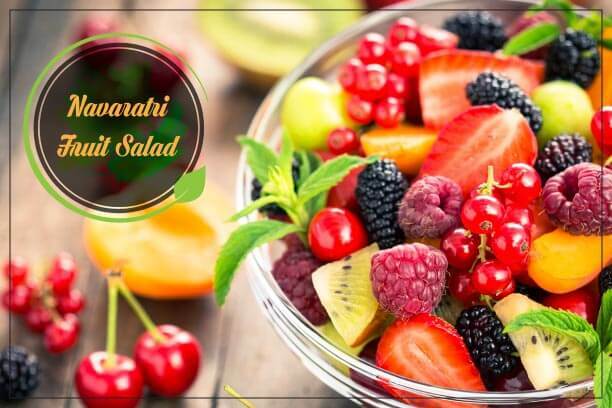 Mixed fruit salad with apples, berries, apricot, avocado, cherries is the best fruity dish to include in the diet plan for Navaratri. This salad is recommended to eat during the daytime. The inclusion of berries makes it a healthy fruit salad as it contains less sugar. You can include varieties of berries such as strawberries, blueberries with this. Berries are also great choices for maintaining glucose and cholesterol levels. 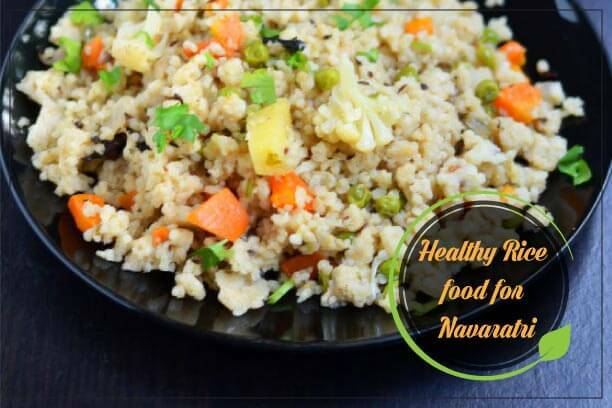 It’s yet another popular navratri recipe during fast. This food can be prepared with less oil and vegetables for a healthy diet. Main Ingredients: Coconut Oil, Sabudana, Rock Salt, Coriander leaves, Green chillies. Shallow fry sabudana with coconut oil and rock salt. Avoid using regular oils such as sunflower oil, groundnut oil etc. Do not deep fry. Coconut oil has less fat that makes this dish healthier. Include vegetables such as coriander leaves, green chilies. This rice with cashews, almonds, coriander leaves, is a special dish for navratri. Almonds contain dietary fibre that is good for health. In addition, almonds and cashews are healthy and rich in vitamins and minerals. Main ingredients: samak chawal or barnyard rice, coriander leaves, curry leaves, water, onions, ginger, beans, peas. Cooking Tips: Use cooker to cook faster and it gives a creamy texture to the rice. You can use other nutrient vegetables such as peas, beans along with this. Use less ghee to control weight.Wash rice twice. Use coconut oil. shallow fry vegetables instead of deep fry. Barnyard millet is gluten free and contains carbohydrates and proteins to give energy during Navratri fast. 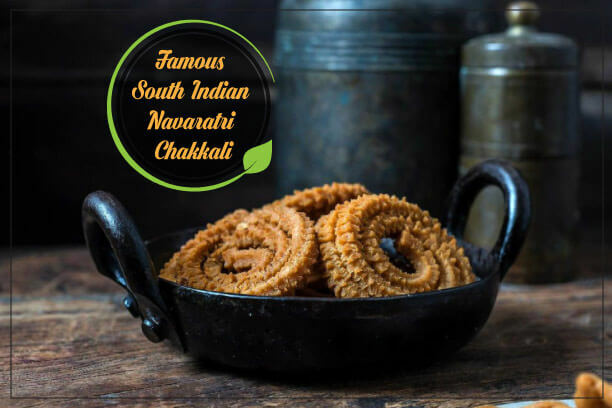 This famous south Indian recipe is one of the popular Navaratri foods in south India. But to make it healthy without worrying about weight gain. Main Ingredients: Maida, rice flour, coconut oil, water, rock salt, turmeric. Cooking Tips: This can be prepared with less oil and cholesterol content. Use steel container as it takes little time around 5-7 minutes to boil the flour mix. Avoid deep frying. Use nutrient sesame seeds. The use of turmeric makes it healthier as turmeric contains curcumin that prevents accumulation of adipose cells. Alu Puri is a popular north Indian dish made during Navratri. Again coriander leaves, turmeric can be included as ingredients to make it even healthier without having to worry about weight issues. Instead of regular salt, rock salt can be used to prepare this as it is unprocessed and pure. Main ingredients: Potatoes, puris, coriander powder, rock salt, coconut oil, salt, green chillies, turmeric powder. Cooking Tips: Bake the puris in medium heat with coconut oil. Mix potatoes with kuttu ka atta or buckwheat flour and rock salt. Boil potatoes with water and avoid adding oil while boiling. Avoid ghee and other ingredients that may add to fat accumulation. The leafy coriander leaves along with this, boost health with its vital nutrients. Potatoes, when baked and consumed in moderation, imparts less calorie and rich amount of nutrients, which make them ideal for weight loss. Samak Kheer is a well-known sweet food that is prepared in across India during Navaratri. This payasam is prepared with Samak chawal or Barnyard rice. Main Ingredients: Samak chawal or barnyard rice, cashews, almonds, milk. compared to other sweet dishes, this particular sweet kheer contains less sugar and good fiber. A tea prepared with lemon and green tea, lassi made with milk are recommended beverages during Navratri which can keep you away from coffee, tea containing a lot of sugar. TruWeight’s health point: Green tea increases metabolism. In addition, it also reduces the risk of cancer and various other diseases as such. Eat fruits such as apple, banana, oranges, pineapple, berries etc which have more nutrition values. Avoid juices and prefer whole fruits as juices are less with nutrients, especially fiber. Drink a lot of water to keep yourself away from dehydration. In addition, water can make your skin retain that glow and also, help your body retain the energy. Eating food options such as sabudana give energy while fasting. Drink Green tea, coconut water for energy: The antioxidants in green tea supply energy by burning the fat cells. Eat Papad with rock salt. This snack free from regular salt can be a perfect snack while you fast for 9 days. As a quick review, we would like to mention Truweight’s simplified list of good foods that you can include in the preparation of various dishes. Hope you have enjoyed reading the above Navratri dishes and those handy fasting tips. So, forget about weight issues and enjoy the 9 auspicious days of Navratri. If you need any help with fasting tips and diet during Navratri, consult one of TruWeight’s nutritionists. The first consultation is absolutely FREE. BON APPETITE. 10 Clear Links Between Sleep & Health | World Sleep Day!